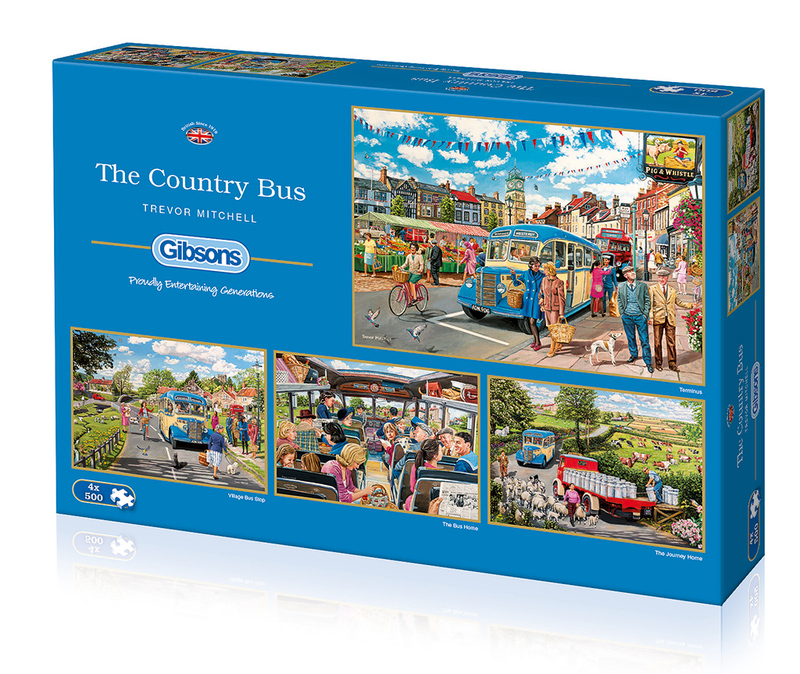 These four puzzles tell the story of the country bus’ daily route, as it travels past the dairy farms and through the town square. Come rain or shine, the regular passengers can always rely on the blue bus to take them from A to B! 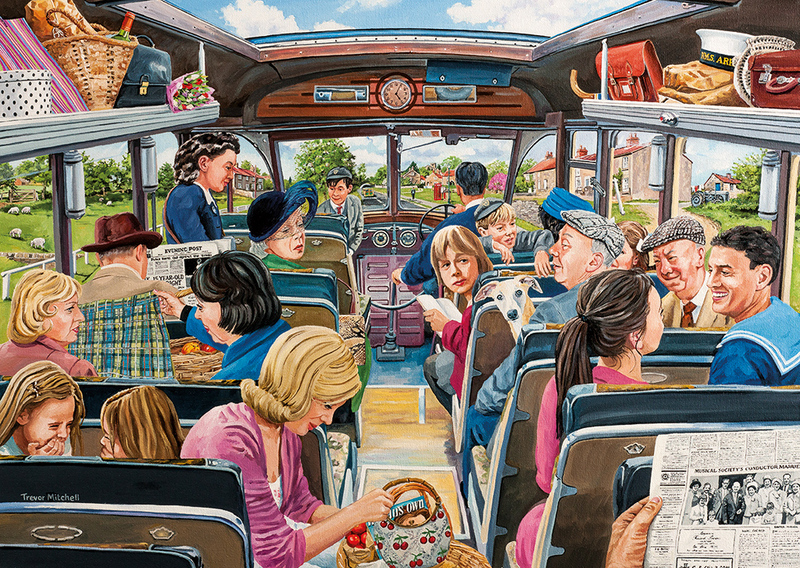 After leaving Bradford Art College in 1979 with a Diploma in Art and Design, Trevor began his career as an art director at a London advertising agency. He returned to his native West Yorkshire a few years later and worked for several design studios and advertising agencies before going freelance in 1986. 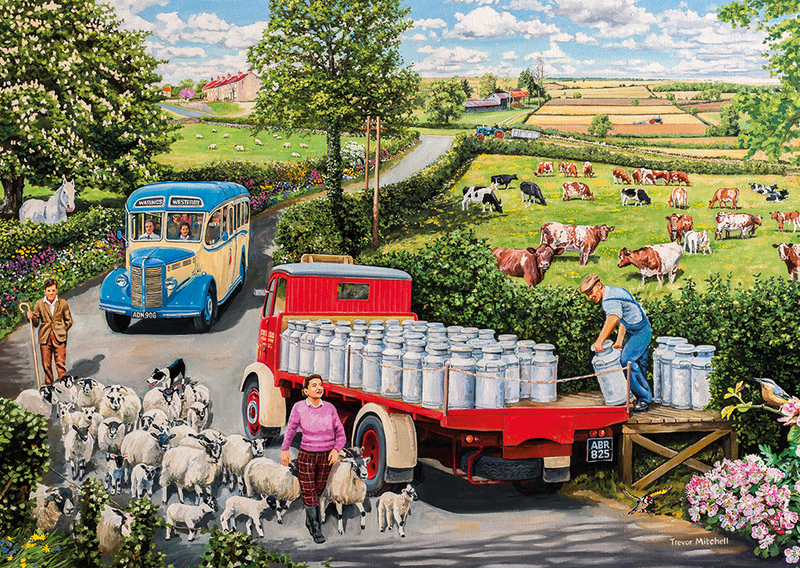 Commercial illustration work rekindled his love of painting and he was encouraged by finding a market for his work among the publishers of greeting cards and jigsaw puzzles, and art prints of his paintings are now sold worldwide. 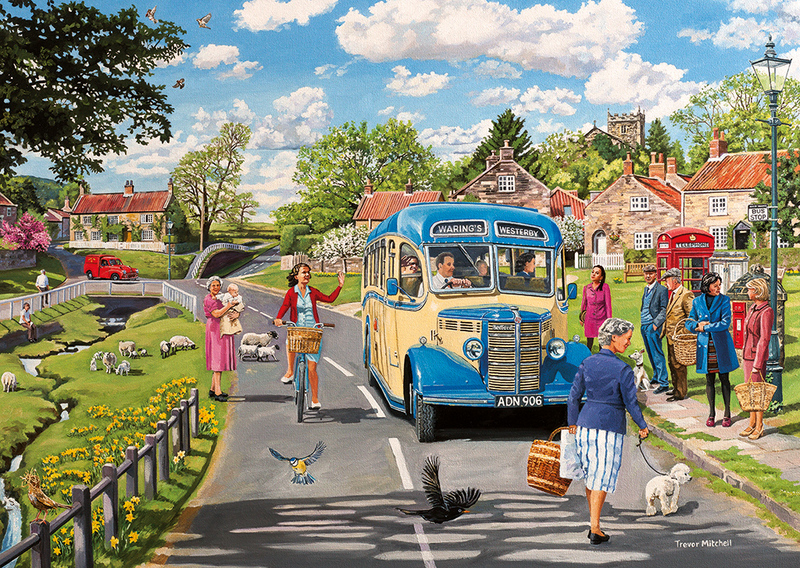 Trevor's paintings reflect his enthusiasm for steam and vintage vehicles and his fascination with recreating the past in pictures appears frequently in Gibsons nostalgic puzzle range.